As I have mentioned before, I have belonged to a dinner club for about 23 years. When we started our group, we were all trying to challenge ourselves with impressive gourmet meals. We have always set a theme…French, Russian, Italian etc. We have even done a few of those mystery dinners! However, today we are less formal. I'm certainly not talking about the kind of food we serve…we always have such wonderful meals. But, we are long time friends and are very comfortable with each other. Last week our group met for a Caribbean dinner party. I've also mentioned that when we have our dinners the host couple picks the theme and determines who will bring what. Someone brings an appetizer, someone brings soup or salad, and someone brings dessert. We started our evening with Watermelon Margaritas and two appetizers. One was a really flavorful Crab Dip. Soup came next…a lovely spicy Crab Soup with spinach. Our hosts did a wonderful job on an awesome chicken dish with plenty of Caribbean sides. Then it was time for dessert…my contribution! I searched all my dessert books and also went on line. That's when I found it…on Epicurious! One of my favorite food sites. Mango Meringue Tartlets! The recipe is from Bon Appetit. This was a really fun recipe and was wonderfully delicious! Caribbean ingredients make these beautiful little tarts something special. Preheat oven to 350°F. Using fork, mix flour, 1/2 cup powdered sugar, melted butter, and coconut in medium bowl until dough forms. Divide into 6 equal pieces. Press each piece onto bottom and up sides of 4 1/2-inch-diameter tartlet pan with removable bottom. Chill crusts 30 minutes. do ahead Can be made 1 day ahead. Cover and chill. Bake crusts until golden, pressing down with spoon if bubbles form, about 25 minutes. Cool. Purée 2 mangoes in processor. Measure 13/4 cups puree; mix in spices. Transfer to bowl; cover and refrigerate. Pour lime juice into small saucepan; sprinkle gelatin over. Let stand until gelatin softens, about 10 minutes. Stir over low heat just until gelatin dissolves, about 2 minutes. Remove from heat. Whisk in condensed milk, then spiced mango puree. Divide filling among cooled crusts. Chill at least 3 hours and up to 5 hours. Using electric mixer, blend egg whites and coarse salt in large bowl. Gradually add 1 1/2 cups powdered sugar; beat until stiff peaks form, about 5 minutes. Spoon meringue atop tartlets or pipe atop tartlets using pastry bag fitted with large star tip. Using butane torch, lightly brown meringue. (Alternatively, place tartlets in 500°F oven until meringue is golden in spots, watching carefully to prevent burning, about 3 minutes.) Garnish with remaining mango slices and mint sprigs. notes: Add more mango to make at least 2 full cups of puree. 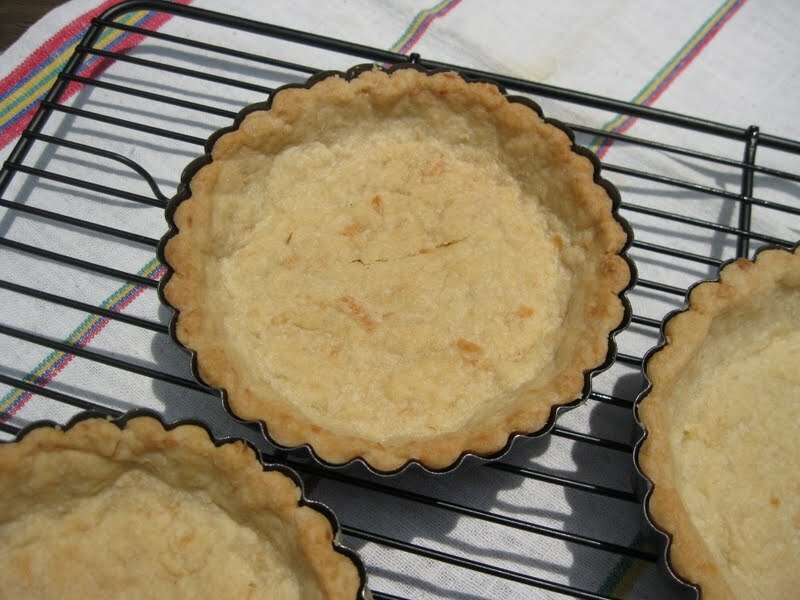 Add more coconut to crust along with a bit of coconut extract. I am green with envy. Honestly and truly I am. You have belonged to a dinner group for 23 years? That is amazing and beautiful. I was in one up in Michigan for 3 years...and then we moved, and moved, and moved. This is one of those "cons" from always re-establishing ourselves. Green with envy! Mango Meringue Tarlets! They look like the perfect dessert. These tartlets are just sublime! Love the tang of mango and the fluffiness of meringue against the crunchiness of the crust. Perfect! Gorgeous, Kathy! Our dinner club only lasted about 2 years...it was so much fun, but it was too hard for us to coordinate or schedules. Looking forward to more posts about your fun meals together...the menu sounds incredible! How fun do your tartlets look? And, I can just imagine how much fun it was to toast the meringue! I love using my kitchen blow torch! These are so lovely. I'm a big fan of mango. What a wonderful recipe. Wow, your menu sound wonderful but being the dessert lover that I am I think you made my favorite contribution;-) Just love that meringue topping! These tartlets look fantastic! I bet the mango tastes amazing with the browned meringue. The coconut-y crust must be great with chocolate! These tartlets are beautiful, and I love the browned meringue on top. I want to start a dinner group over here. I love how long your group has ben meeting for! This was a much better find than a beet salad!!! I am into tarts these days...I've been deciding on a few for the 4th of July. Yours look fun and delicious. Last week I made lemon meringue tartlets with a torched finish...the look was very similar to yours and everyone thought they were really pretty. Your tartlets are beautiful and the crust looks great too. These are absolutely beautiful You are so lucky, we can't keep a dinner group going for longer than a couple of months. Love the ingredients for the little tarts, and even more, that you don't have to roll the dough, just press. The mango filling is absolutely divine, and the meringue, is ever so perfect, high, and browned just right. I would like to make this in my 9 inch tart pan, I'm wondering if the amount would be enough? OMG, these look so delicious, fabulous pictures as well, my mouth is watering!!! Once again you have done a beautiful job of cooking but also displaying the step by step process. It's wonderful because you can see how it's supposed to look for the 'baking challenged' folks like me. What a perfect dessert for a Caribbean party! They look so perfect and refreshing. Your dinner group just sounds delightful.